Our 2019 Annual Plant Sale is scheduled for Saturday May 18th from 11.00am to 1.00pm. 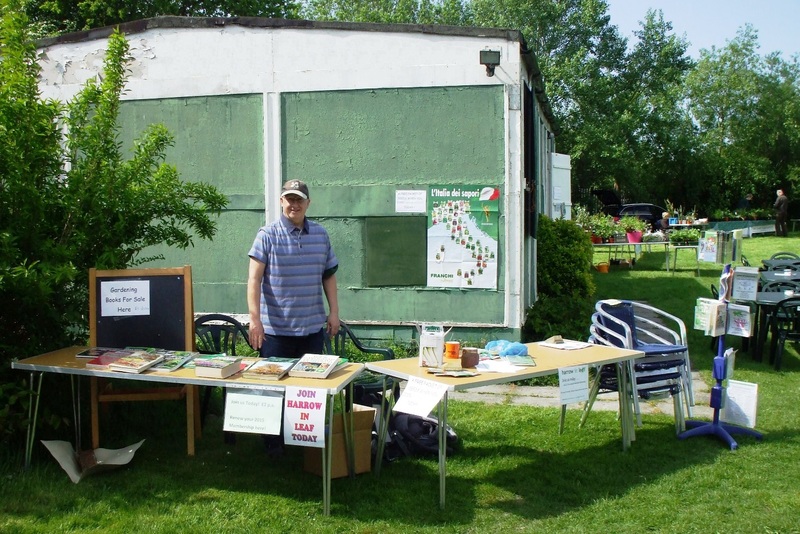 The Plant Sale takes place at our HQ Cabin on West Harrow Allotments (Large), HA1 4HE. Please visit our "About Us" page for how to find the HQ Hut. As always, there will be stalls selling a wide range of ornamental, vegetable and fruit plants at bargain prices. You will find familiar and unusual plants for your garden and allotment. If you have a few spare plants of your own, you can bring them along and donate them to Harrow in LEAF's own stall, which raises money to help run the society. Entrance is free and refreshments will be available. If you would like to sell your own plants, tables costs are £7.00 if booked and paid for in advance or £8 on the day. Our 2018 Annual Plant Sale is scheduled for Saturday May 12th from 11.00am to 1.00pm. 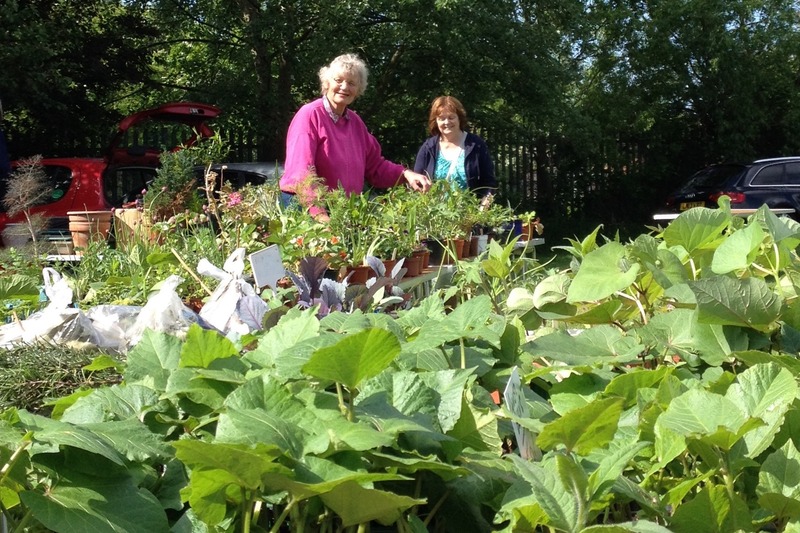 The Plant Sale takes place at our green HQ Hut on West Harrow Allotments (Large), HA1 4HE. Please visit our "About Us" page for how to find the HQ Hut. Our 2017 Annual Plant Sale took place on Saturday May 13th from 11.00am to 1.00pm. As always, there were stalls selling a wide range of ornamental, vegetable and fruit plants at bargain prices. Our 2016 Annual Plant Sale took place on Saturday May 14th from 11.00am to 2.00pm. As always, there were stalls selling a wide range of ornamental, vegetable and fruit plants at amazingly low prices. You will find familiar and unusual plants for your garden and allotment. If you have a few spare plants of your own, you can bring them along and donate them to Harrow in LEAF's own stall, which raises money to help run the society. Entrance is free and refreshments will be available. If you would like to sell your own plants, tables cost £8.00 on the day or £7.00 if booked and paid for in advance. 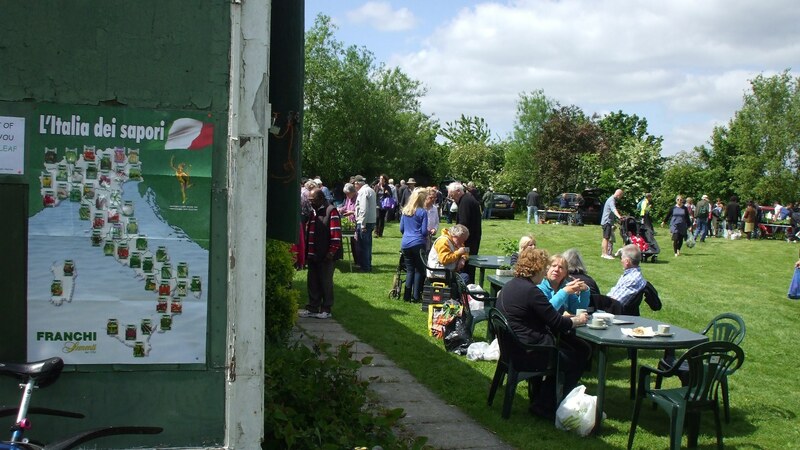 In 2015 the sun came out and so did Harrow's gardeners and allotmenteers. 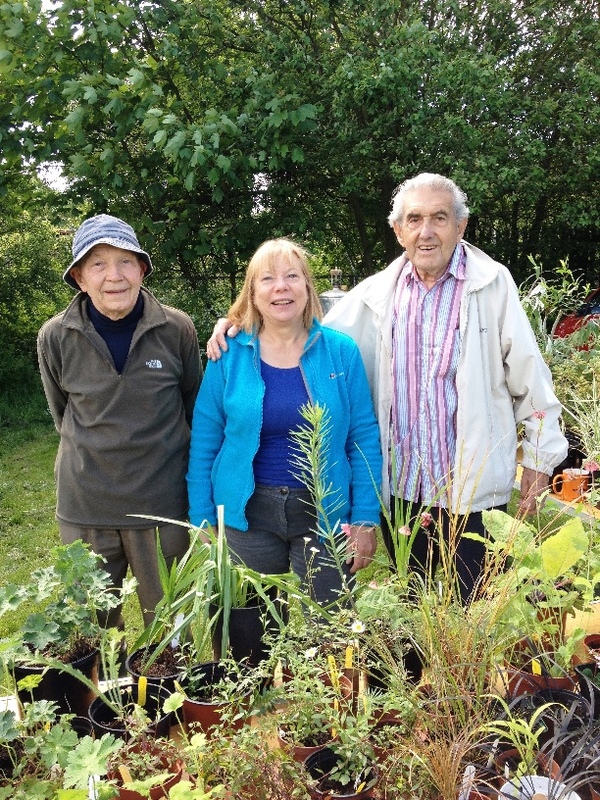 One of the most enjoyable Harrow in LEAF events of the year is our Annual Plant Sale and Saturday May 16th 2015 was no exception. 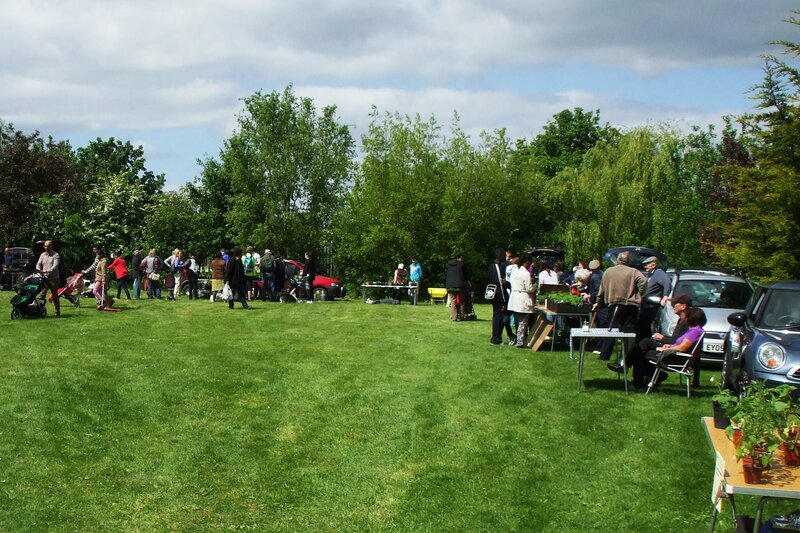 As with all outdoor events ours relies heavily upon the British weather to get Harrow people out and about. With 24 tables this year, selling all kinds of ornamental, fruit and vegetable plants we believe this is probably the biggest open Plant Sale in Harrow. Our Affiliated Societies play a big role in the success of this sale and Hardy Plant Society Middlesex Group, Headstone Allotment and Garden Association and Harrow Fuchsia Society were all present. Harrow Fuchsia Society are usually the first to get the ball rolling and book their tables as soon as we know the date for the Harrow in LEAF Plant Sale. Needless to say many people went home with bags bulging with plants and even a couple of wheelbarrows full. This year our newest Affiliated Group - Seeds of Italy, a Harrow based company - were able to donate some packets of their excellent seeds to Harrow in LEAF. Please enjoy the following photos of our Annual Plant Sale 2015, and we look forward to seeing you at our next Plant Sale in 2016. Oh! and you might consider booking a table of your own next year. 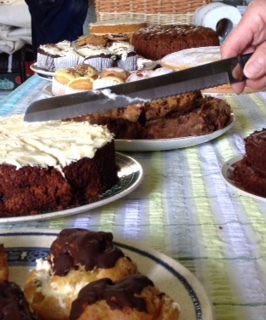 So many volunteers from Harrow's horticultural and allotmenteering community to thank!